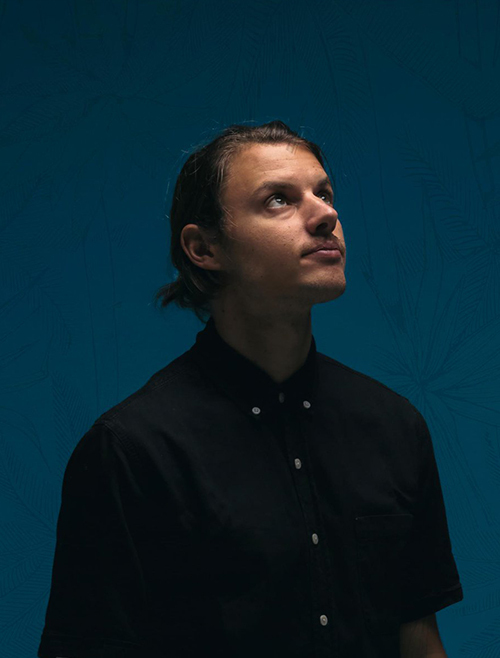 To compose his 2016 EP Aloha, Møme hit the road. The French-born chillwave maestro born Jérémy Souillart hopped in a van and trekked across Australia to create what would become the six-song set, recording on various stops across the continent. Releasing on Casablanca Records, Aloha quickly enchanted listeners everywhere with its delicate instrumentation, seductive electronics, and hypnotic cameos from the likes of Okou, Crystal, Flo the Kid, and Merryn Jeann. The title track and first single “Aloha” [feat. Merryn Jeann] racked up 18.1 million-plus Spotify views in less than a few months’ time. Its airy elegance speaks to the trip across Australia, which saw the producer and artist split his time between composing music and catching waves. The twists and turns of his career thus far landed Møme at Aloha. He began the journey with formal piano training at the prestigious Nice’s Academy of Music. From there, he picked up a guitar and joined a rock band before falling in love with computer- and synthesizer-created sounds. Merging that organic songcraft and electronic scope, he formally introduced a signature style with debut EP Eclipse in 2014. Born on the road, this music is meant to travel far and wide. As it continues to spread, Møme diligently prepares his full-length debut and most engaging statement to date. Get ready to take a trip with him in 2016.